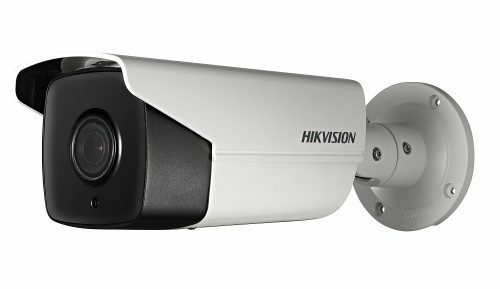 Hikvision’s HIK-2DE4A204IWDE (2.8-12mm) Darkfighter network IR PTZ camera adopts a 1/1.9″ progressive scan CMOS chip. Along with the 4× optical zoom lens, the camera offers more details over expansive areas. This series of cameras can be widely used for wide ranges of high-definition applications such as to monitor rivers, forests, roads, railways, airports, ports, squares, parks, large venues and more. 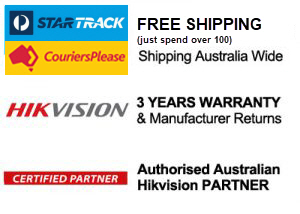 Hikvision’s HIK-2DE4A204IWDE (8-32mm) Darkfighter network IR PTZ camera adopts a 1/1.9″ progressive scan CMOS chip. Along with the 4× optical zoom lens, the camera offers more details over expansive areas. Hikvision is expanding their DarkFighter range of ultra-low-light surveillance cameras with the HIK-2DF6236-AEL PTZ network camera. This cutting-edge camera utilises Hikvision’s industry-leading, ultra-low-light megapixel lens and is designed specifically to capture sharp colour and monochrome images in extreme, low-light conditions. The result is crystal-clear colour images in conditions that would defeat most conventional monochrome IP cameras and competing low-light cameras. It features a 36x zoom lens for long range monitoring.